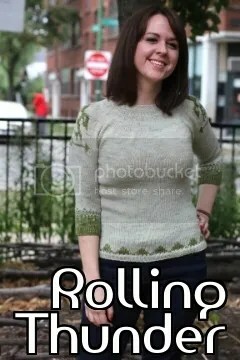 Robin Hunter has an interesting post about the “dumbing down” of knitting patterns. As a long time designer in other media and only recently in fiber arts, I find this post very interesting. While I am new to the design side of the industry, I have read and used my share of patterns. And it is notable that older patterns and European patterns seem to be more like this “older” ideal of limited technique discussion and greater conciseness. Take the classic Elizabeth Zimmerman Baby Surprise Jacket. It is a very clever pattern written in just a few lines and a diagram. Most modern designers would make this much more complicated with much more detail, probably more than necessary. I think the key with any design interface (whether software UI or a knitting pattern) is to understand your audience. If I am writing a pattern that I am marketing as “for beginners”, I will be much more conscious of explaining techniques beyond very simple basics. But if my design is something that I wouldn’t expect an inexperienced knitter to tackle, then I would have some assumptions about skill level. Additionally, with so many online resources available now, I think as long as you use terminology consistent with other designers, there are many videos and other tutorials available online. You just need to give the knitter the right keywords to search. One of my goals when I am writing patterns is to keep the pattern to 2 pages so that you can print a single (double-sided) sheet for the pattern and not have to worry about multiple pages. This might become a problem sooner rather than later, as I am finding these fingerless mitts I am currently designing to be a little more complicated to explain, but I hope I can condense it down to a 2 page document.